In our last post we talked about having a campfire in the backcountry, the arguments for and against it, and, mostly important, talked about the right way to do it. So you've decided you're on board with all of that. One of the "must haves" for your backcountry trip is to be able to sit around a campfire with your kids after a long day of hiking and watch the sun set. Sweet. I can't say blame you. The thought of doing that myself gives me chills. Now, where do you go? 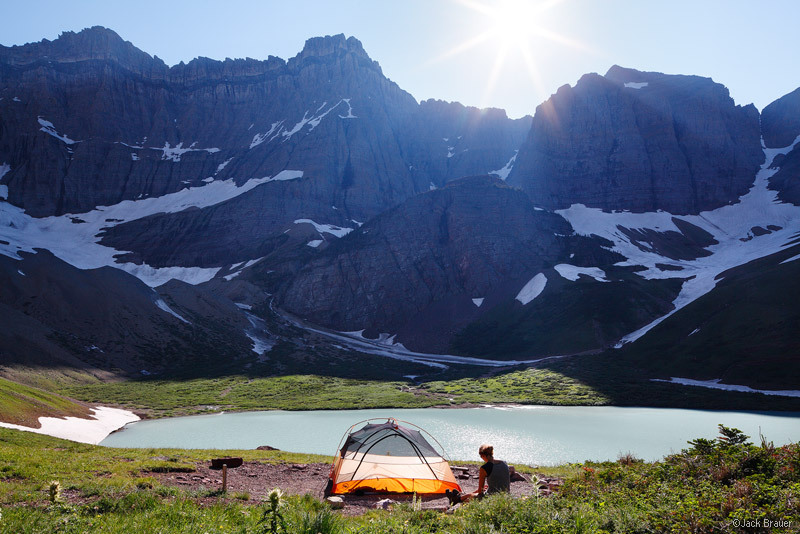 If you want to visit Glacier National Park at the beginning of the backcountry camping season there, which begins around mid-June, there's a number of choices partake of. Here's a partial list of the early-season backcountry campgrounds at Glacier that allow campfires in the established pits on-site. - As discussed before, Harrsion Lake is either a ten-mile hike, or requires fording a freezing and torrential river. - Lake Janet is accessed from the Waterton Lake valley trail system, the trailhead of which is located near the Canadian Border at the Goat Haunt ranger station. Very isolated, and challenging for even experienced folks. - Reynolds Creek campground can't be visited on the first day of your multi-day backcountry trip. So, then- you have a list of what's open... but how do you use it? What's the right hike for you and your kids? It's hard to know, especially when you might be coming from thousands of miles away, and have to apply for a backcountry permit months ahead of time. Stay tuned, because that's our job here at Backcountry Dad. We want to help figure that stuff out- so we can inform you properly, and you can get out there with your kids and have an outstanding backcountry trip.